Custom embroidered Apparel for Law Enforcement and Drug Task Force Agents is available from Stitches By Pat! We accept Pay Pal, Visa, and Master Card.... So what are you waiting for?... Get yours ordered now!!!!! 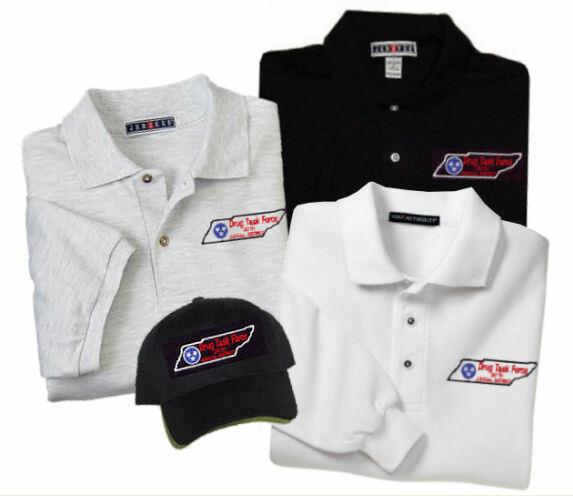 We can outfit your law enforcement agency with identity apparel. Send us your logo or let our graphic design department create one for you. We also offer quantity discounts, please call or send us your artwork for a quote. us to be sure that we have the logo you will need. an excellent selection of quality garments at competitive prices.